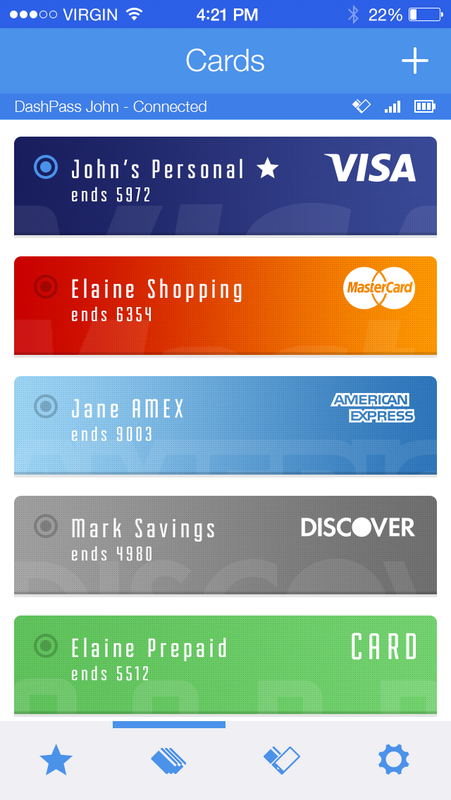 DashPass works with 100% of existing POS terminals. 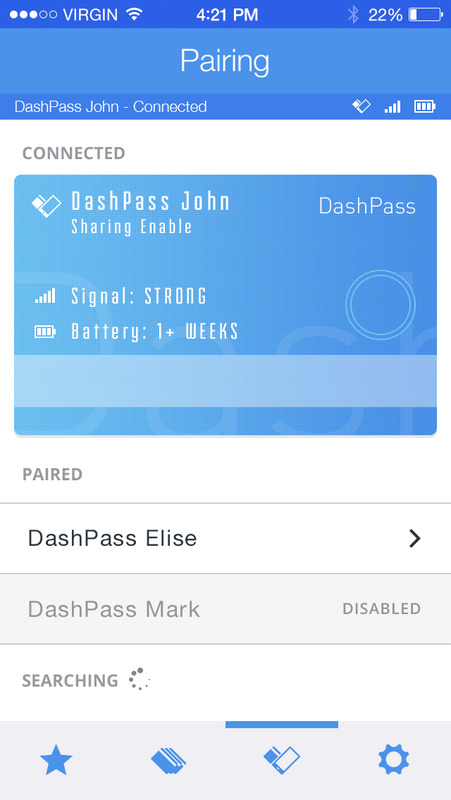 There are no hardware integration costs to accept DashPass. 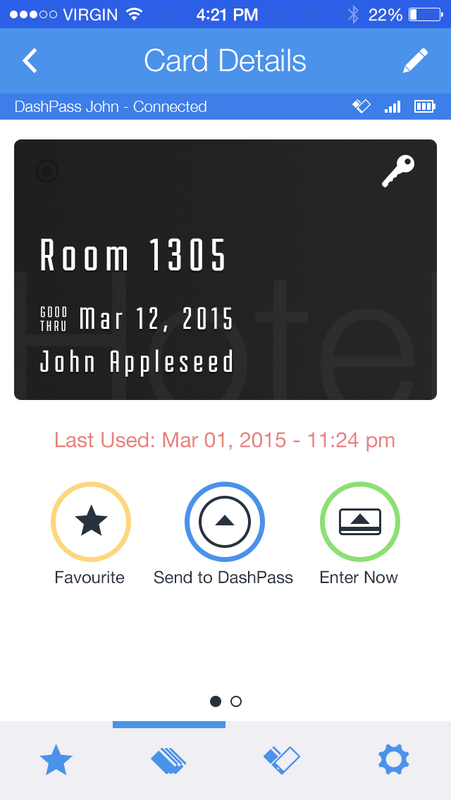 All instructions for the card are delivered securely from the DashPass app. 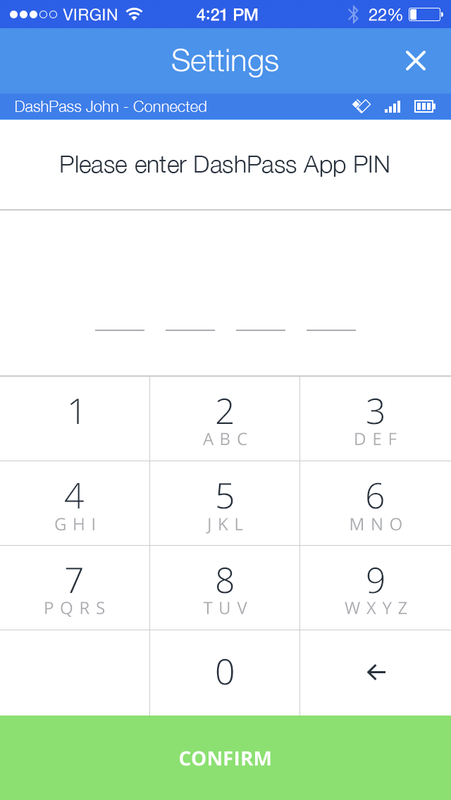 There is no data on the card itself! 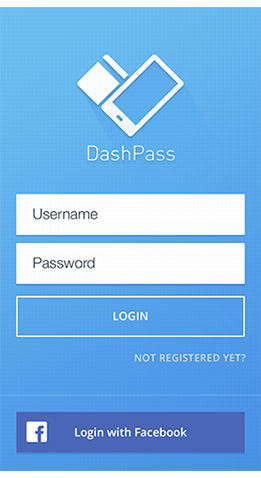 DashPass connects to any Bluetooth phone both on the iOS and Android platform to accept instructions on what to do next! 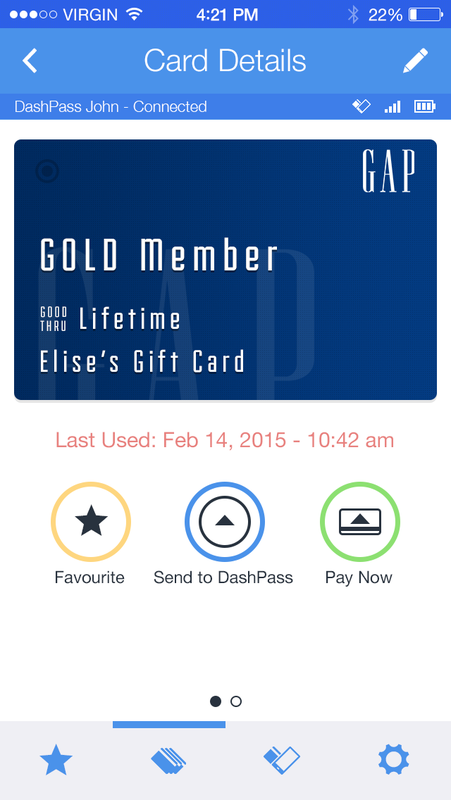 Whether it’s loyalty points, dollars, pounds, yen or any other form of currency the DashPass app can handle any type of transaction. Learn more about what makes DashPass™ so amazing! 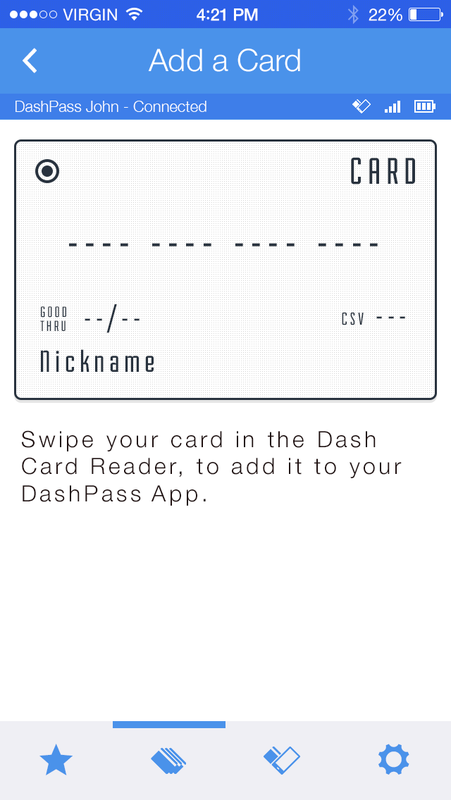 With the DashPass™ SDK, your developers can take advantage of the most versatile card out there. 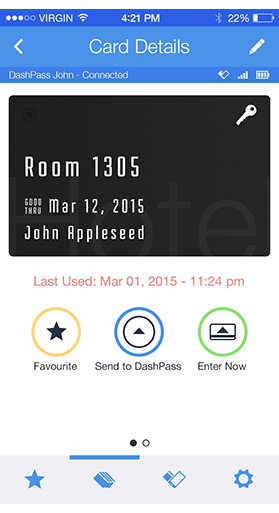 Low powered card can be recharged in minutes. 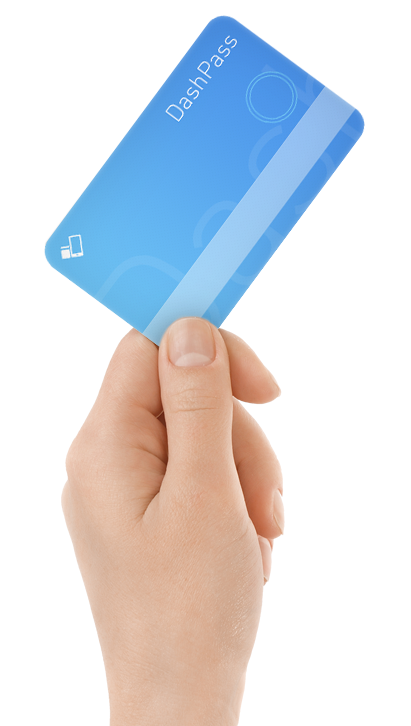 Manage more than one card from your mobile device and assign a customized profile to each. 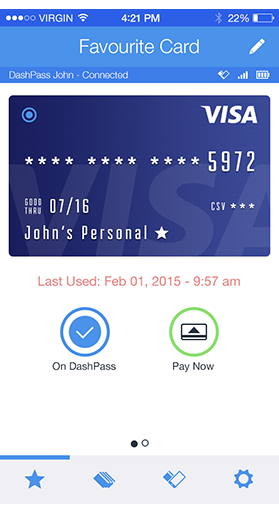 DashPass™ can act as any of your existing credit cards. 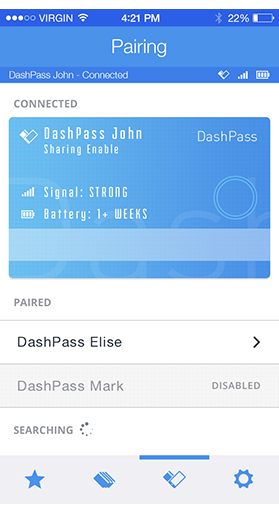 Every time there is a new firmware or a new feature available, DashPass™ will update automatically. 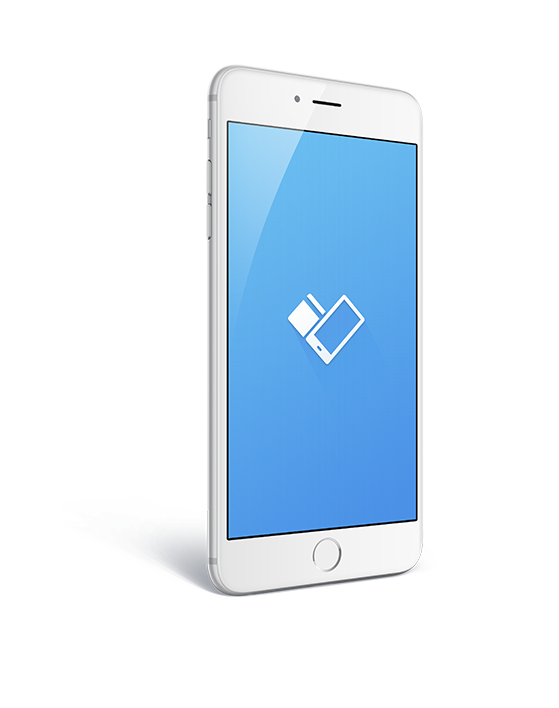 You can preset behaviours based on location. 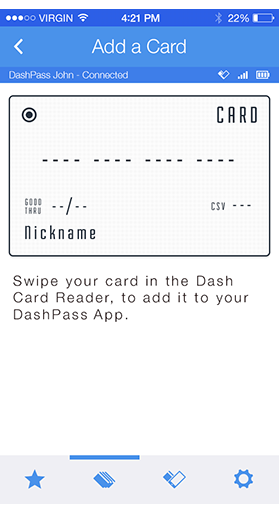 DashPass™ Card can do more than just pay at POS. 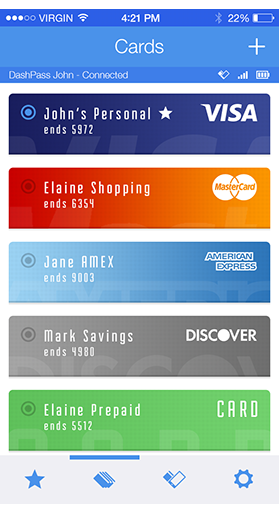 All the data from and to the card is encrypted and meets the highest industry standards. 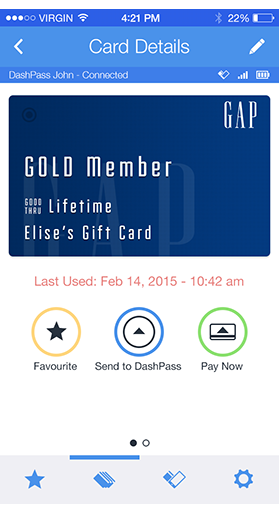 DashPass™ does not hold any sensitive data on the card, your data is never at risk even with a lost card. We've only scratched the surface of what's possible. 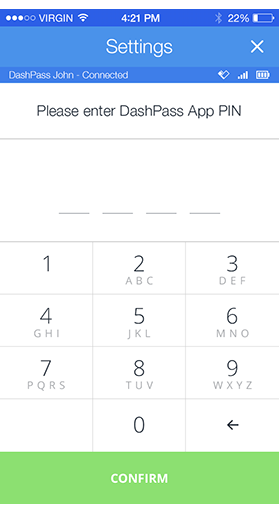 "This is a game changer!" 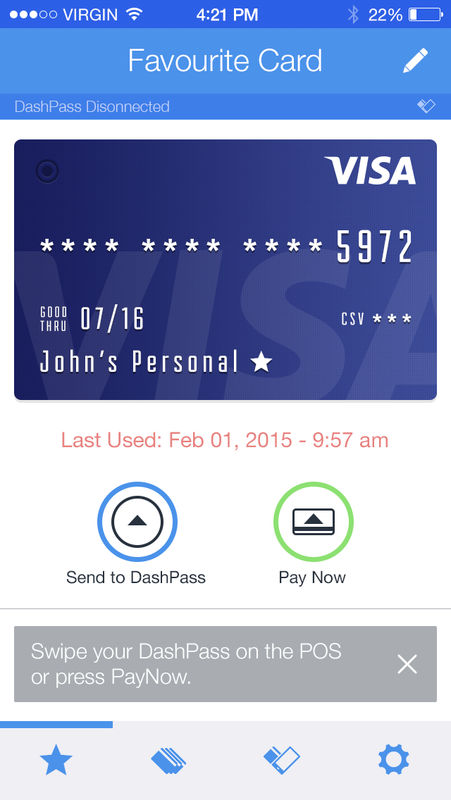 Ready to start working with the most revolutionary card today! Patent Pending - Built by RAW Inc.